A Brow Lift Procedure (also known most commonly as an endoscopic brow lift or ‘endo brow’) is designed to reposition the eyebrow, often in conjunction with an Upper Blepharoplasty. Ageing changes in the face are reflected by the lower position of the eyebrow and can contribute to heavy upper eyelids contacting the eyelashes. With time, the brow drops from its normal position (brow ‘ptosis’) to give the appearance of tiredness and lowering of the upper eyelids. A brow lift procedure aims to lift the position of the forehead and brow and may also enhance the results of an Upper Blepharoplasty. Brow Lift, a Brow Lift in addition to a Blepharoplasty, or whether a Blepharoplasty alone is needed. 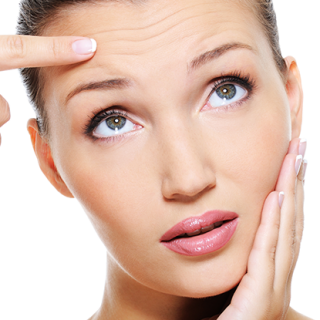 It is unusual to need only a Brow Lift without any reference to the upper eyelid. And which technique is most appropriate for you according to several factors including age, hairline position etc. This is the commonest procedure – it takes place through small incisions high in the hairline. The tissues of the forehead are lifted in a deep layer all the way to the eyebrow. It has been common practice to remove the muscle between the eyebrows through this approach, to decrease furrowing afterwards, but these days a non-destructive technique is generally preferred – because these frown lines can be well-controlled with botulinum toxin injections. The soft tissues are then retracted backwards and held in position against the bone of the forehead. This is usually by special sutures under the skin, but occasionally small screws are needed – these are removed after a week, in outpatients. Commercial absorbable devices can be used to secure the lifted tissues but increase the cost of the procedure and can become displaced and can be felt for up to 15 months. Mr Blackburn generally uses dissolvable sutures (which take a few months to dissolve) placed into special holes created in the bone. Adding the step of removing a crescent-shaped section of scalp behind the hairline on each side at the access incision location can help with the amount of lift achieved. This aims to moderately lift the outer (lateral) part of the brow (tail of the eyebrow) by removing a small strip of scalp skin in the temporal area above the hairline. Also known as an internal brow lift. This is performed through the upper blepharoplasty incision in the upper eyelid for mild cases. A hidden deep suture retains the brow position to the tissues over the bone above the eyebrow – this area remains a little tender for a few weeks and there can be numbness above the outer part of the eyebrow afterwards. Again, commercial absorbable devices can be used to secure the brow position at additional cost. This has a limitation that it can leave more obvious horizontal wrinkles just above the elevated brow in the lateral aspect of the forehead. 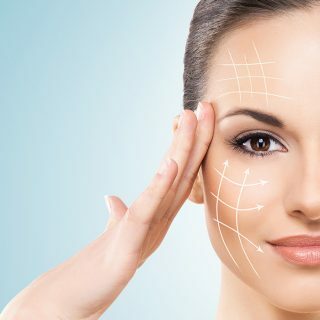 Botulinum toxin type A (botox) is one of several naturally occurring protein toxins produced by a bacteria called Clostridium botulinum which is widely found in nature in forest soils and shellfish. Botox is precisely manufactured to be used in safe doses to soften wrinkles in the skin by weakening the action of the muscles which cause the wrinkles. It was first used in 1973 to relax overactive muscles which caused ‘crossed eyes’ (strabismus) and facial twitches (or ‘tics’) then gained wider use for other muscular conditions and for use as a cosmetic agent. Although used globally for cosmetic purposes for since 1990, it is still not officially registered for such use at the moment. Botox is manufactured pharmaceutically in the United States of America – an animal source of protein is used in the process. takes place through small incisions high in the hairline. The tissues of the forehead are lifted in a deep layer all the way to the eyebrow. It has been common practice to remove the muscle between the eyebrows through this approach, to decrease furrowing afterwards, but these days a non-destructive technique is generally preferred – because these frown lines can be well-controlled with botulinum toxin injections. The soft tissues are then retracted backwards and held in position against the bone of the forehead. This is usually by special sutures under the skin, but occasionally small screws are needed – these are removed after a week, in outpatients. Commercial absorbable devices can be used to secure the lifted tissues but increase the cost of the procedure and can become displaced and can be felt for up to 15 months. Mr Blackburn generally uses dissolvable sutures (which take a few months to dissolve) placed into special holes created in the bone. This requires removal of a strip of skin immediately above the eyebrow leaving a scar with in the visible area of the forehead. It is considered for marked drooping (ptosis) and aims to have a scar, which looks like a crease in the forehead. This is often chosen for male brow lifts – because it is often better to aim to conceal the scar in a mid-forehead wrinkle than to place the scar in the existing hairline in an area where a ‘male-pattern baldness’ receding hairline will gradually reveal the scars as the ‘tide goes out’ over the years! This is the most extensive procedure, and so it is less often used. It leaves an extended scar right across the scalp either close to / set behind the hairline or across the top of the head. It leaves an area of numbness behind the scar line that extends backwards to the top of the head. It may be considered in cases of marked ptosis if other options are not suitable and there is good hair density; or by clients who want a marked change. If you are overweight and intend to lose it you should do so before the operation. This allows the surgeon to remove more skin and, therefore, achieve a more pleasing result. You should avoid taking tablets containing aspirin and non-steroidal anti-inflammatory drugs such as Voltarol (sodium diclofenac) for at least two weeks before surgery because they increase the risk of bleeding. You should stop smoking at least two weeks before surgery because this is an important cause of reduced healing – it decreases the circulation in the skin. If you have your hair permed or tinted, you may wish to arrange this just before your operation – because fresh scars are sensitive to these chemicals for a few weeks. There will be stitches or staples in the incisions in the hair and your head may be bandaged. 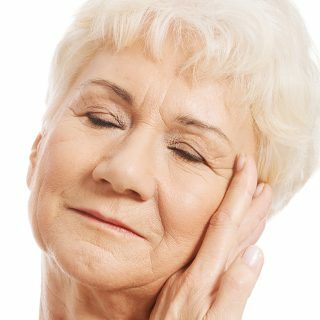 There will be some swelling, but you will notice more the swelling from your Blepharoplasty operation if this is performed at the same time. Swelling after surgery builds over about 3 days or so after surgery and then gradually reduces again. It will fluctuate over each 24 hours – if you have been lying flat eg overnight, it will accumulate more – so it is helpful to sleep slightly elevated on pillows for the first week or so if you can. The operation is usually very successful. Recognised limitations / unwanted side effects include changes in the sensation over the scalp, caused by injury to the nerves as they pass from the eyebrow backwards to the top of the scalp – especially behind the scars. 1 Bleeding / haematoma (collection of blood): this complication applies to almost any surgery. It generally occurs within the first 12 hours after surgery and usually needs a return visit to the operating theatre to drain any collection of blood and attain control of any bleeding points under general anaesthesia. The risk of this is approximately in the order of 1 in 100. 2 Wound infection: it is uncommon (~1% or less) to have infection following a brow lift, because of sterile instrumentation, wound preparation and antibiotics are used before surgery. If it develops it is treated with further antibiotics and appropriate wound care. 3 Poor scarring: some individuals may develop thick and red scars, so-called hypertrophic scarring. Rarely this may progress to keloid scars. These unfavourable scars can be treated with steroids and sometimes may have to have surgical revision. 4 Hair loss: this is uncommon and may occur as a result of tension, swelling in the scalp or as a general reaction to the trauma of surgery – more so with repeated excisional (e.g. temporal or coronal) brow lifts. Wound infection can also cause temporary hair loss in the vicinity of the wound. Fortunately, in most cases, hairloss is reversible but may take many months to resolve. 5 Numbness of small areas of skin or scalp follows most brow-lifting surgical procedures and gradually decreases with time. Some techniques e.g. coronal brow lift can leave permanent numbness above the scar for which there is no remedy, but is generally well accepted and tolerated by patients who have chosen this technique. 6 Bruising: this is a normal sequel to surgery and, therefore, is not a complication. The duration of bruising can vary from about two to three (rarely up to twelve) weeks and depends on the extent and thickness of skin, among other factors. 7 Asymmetry: most patients have some minor facial asymmetry at the outset and most of these cannot be fully corrected by brow lifting. Any concerns about asymmetry should be discussed with your surgeon. 8 Weakness of the muscles which lift the eyebrow on one side or both sides – which can be temporary or possibly permanent has been reported as a recognised complication. 9 Unfavourable result: the outcome of this operation depends on many factors including expectations. Your surgeon can only achieve what is possible within his / her limitations. In spite of a good result and absence of complications some patients feel aggrieved. Further surgery may not necessarily help – with either the same or a different surgeon. A brow lift does not stop the clock, but it does put the clock back. The freshening effect of the brow lift is likely to always be there, in that you should not look as old as you would have done if it had not been carried out. A brow lift is a skilled procedure and you should choose a surgeon who has undergone a full training programme that includes facial cosmetic surgery. These surgeons will be on the Specialist Register at the General Medical Council and may be a specialist Facial Surgeon (Maxillo- Facial) – a registered specialist in facial surgery (both and soft tissue, reconstructive and cosmetic), Otolaryngology Head & Neck Surgeon (‘ENT’) – operating on the ears, nose, throat, sinuses or face – or a general Plastic Surgeon – operating on the abdomen, breasts, legs, arms, hands, groin, feet and faces. Members of the Association of Facial Plastic Surgery (AFPS) and the British Association of Aesthetic Plastic Surgeons (BAAPS) are on the Specialist Register and have a special interest in cosmetic surgery. It is important not only to investigate your surgeon’s qualifications and speciality training, but also – ask them what part of the body they spend most of their week operating on! It is arguably a productive consultation if your surgeon ultimately directs you to another specialist whom they know to be sub-specialised in your area of concern.